IvyDE provides an editor of ivysettings.xml files. 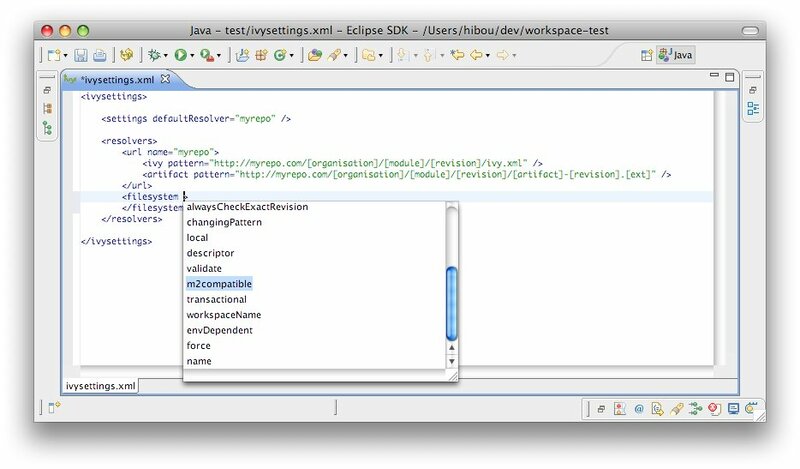 It provides completion on all tag and attribute names. Completion comes with contextual help. The completion popup is displayed through the CTRL + SPACE shortcut. 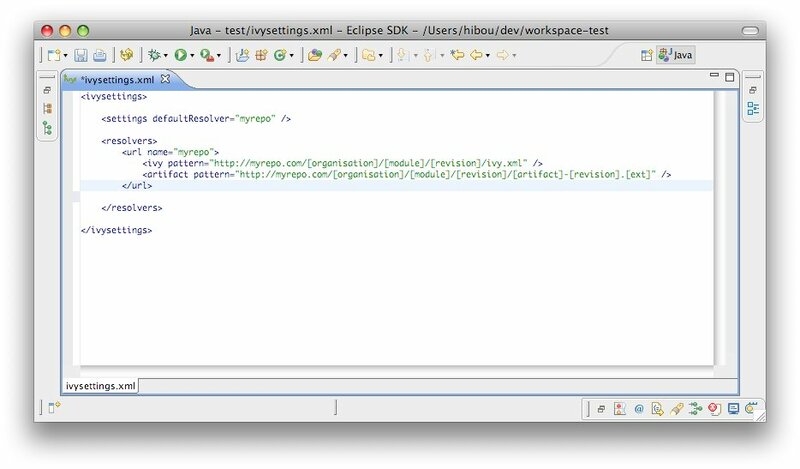 XML structure: Allows you to quickly to insert valid tags in the right place. 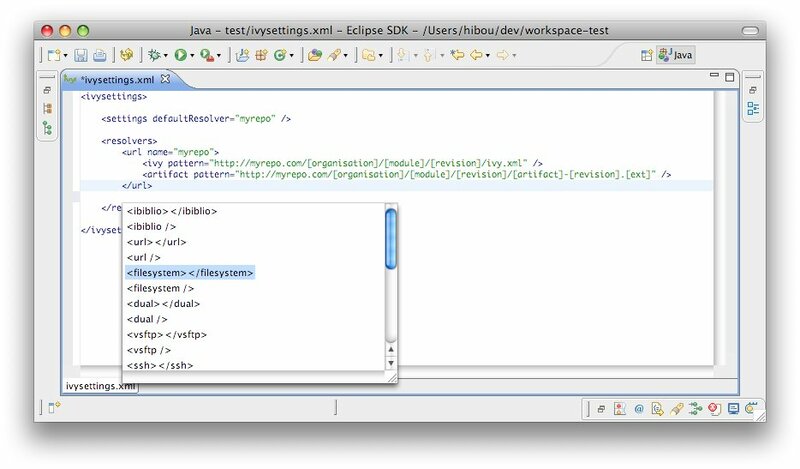 If the tag can have nested childrenm, both notations, simple tag and open tag, are proposed. Tag attributes: When your cursor is placed inside a tag bracket, the completion shows available attributes for the enclosing tag.